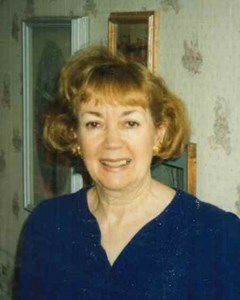 Newcomer Family Obituaries - Gloria A. Hanigofsky 1936 - 2019 - Newcomer Cremations, Funerals & Receptions. Gloria Ann Hanigofsky, went home to be with her Lord and Savior, Jesus Christ on Sunday, April 7, 2019. Jesus said, "I am going to prepare a place for you and will come back and get you so you can live where I live." That is heaven and where Gloria now resides. She believed this. She met her husband, Larry, on December 18, 1953. One year later they were engaged and nine months later, were married in Colorado Springs, Colorado. One word describes their marriage - "Togetherness". In Addition to her husband, Larry, Gloria leaves two wonderful and loving daughters, Becky (Don) Torok and Jill Hanigofsky. Also surviving are two grandsons, Michael (Stacey) Rathbun and David (Nicole) Rathbun and two great-grandchildren, Michaela and Micah Rathbun. Also, Gloria leaves a sister, Dixie (Bill) King. Gloria attended Arlington Memorial Baptist Church for 62 years and Maranatha Bible Church for 20 years. She served as a deaconess at Arlington and a member of the choir at both churches. Gloria loved to sing and considered her choir involvement as a personal ministry and a way to honor her God, with the gifts He had given her. She sang in over 100 Christmas and Easter cantatas, as well as, other choir performances. A dedicated choir member. Gloria worked at Goodyear as a secretary in the Advertising Department, stopping to lovingly raise her children. She later returned to work as an Administrative Assistant with New York Life Insurance Company. Gloria and Larry retired to a life of togetherness. Spending time traveling and enjoying relationships of many years, with many friends. Family was important to her and family gatherings were a large part of her life. She loved tennis and played until 81 years of age, always competitive. In lieu of flowers, the family suggests memorial contributions be made to Maranatha Bible Church, 1424 Killian Road, Akron, Ohio 44312. The family particularly would like to express its gratitude to Summa Hospice Nurses, Taunia and Jamie, for their compassion and care of Gloria. Outstanding! Memorial services will be held on Thursday, April 11, 2019 at 5:00 PM at Newcomer Funeral Home, 131 North Canton Road, Akron, where Pastor Butch Pursley will celebrate Gloria's life. Family and friends may visit from 3:30 PM until the time of the service on Thursday. Add your memories to the guest book of Gloria Hanigofsky. She was a very nice lady and we enjoyed her and Larry at the basketball games. Sending our Prayers. To you all. Our hearts go out to your Family. Gloria was a member of our Pickleball Club and will be remembered by all. My family is very sorry for your loss. Prayers for you and your family. Thinking of you all with love. 'Glo' was a special lady and her kindness touched many. Through the sadness we smile at all the precious memories......outlet shopping...choir...cheering 'toons' at bball...hiking the Rockies.....mom/daughter times. May you be comforted by our good God. Larry and Family - My most sincere condolences over your loved one’s departure. I didn’t know Gloria but sure got to know you and your family over the many years of working on the muck farms during our teenage years. May God bless and comfort you in this most difficult time of your life.